If you suffer from ongoing shortness of breath or frequent lung infections, there are many possible culprits — including cysts in your lungs that could lead to cystic lung diseases. The challenge for patients and doctors is to nail down a specific diagnosis. Getting the right treatment depends on it. Doing so is complicated. There are more than half a dozen categories of cystic lung diseases. They have many potential causes and presentations, says Peter Mazzone, MD, MPH, of Cleveland Clinic’s Respiratory Institute. “Some cystic lung diseases are the result of infection in the lung, or an underlying lung disease or disease of the whole body that has manifestations in the lung,” says Dr. Mazzone, who is part of a team conducting research on these diseases. What causes cystic lung diseases? Some cystic lung diseases relate to other problems in your body. For example, Birt-Hogg-Dubé syndrome leads to disease in the lung and tumors on the kidney. Others connect to smoking, too, much like other lung conditions. These include interstitial pneumonia and pulmonary langerhans cell histiocytosis. But many other causes of cystic lung disease have no link to any particular behavior or cause. There might be a congenital or genetic reason why someone develops a specific condition, instead. The symptoms vary, too. For example, a cystic lung disease known as lymphangioleimyomatosis (LAM) causes a patient’s lung to collapse. This occurs when a cyst erupts, leading to air leaking out of the lung, Dr. Mazzone explains. If you experience progressive shortness of breath, frequent lung infections, or any other lung condition that can’t be explained otherwise, see your primary care provider. They may want to order a scan of your lungs. All this variety can make getting a diagnosis challenging. But cystic lung diseases also are rare. That makes it unlikely that patients would be aware of them and bring them up with doctors. Primary care physicians aren’t always familiar with these conditions, either. They might be able to recognize a cyst on a lung scan but are often limited in their ability to detect and diagnose a manifestation of cystic lung disease. Even with these difficulties, you can help reach the right diagnosis. Start by watching for common symptoms. If cysts show up on the scan, Dr. Mazzone advises that the primary care doctor refer you to a pulmonary specialist. This doctor would be equipped to detect and diagnose your specific condition so you can get the treatment you need. For cystic lung diseases, there’s no one-size-fits-all approach. 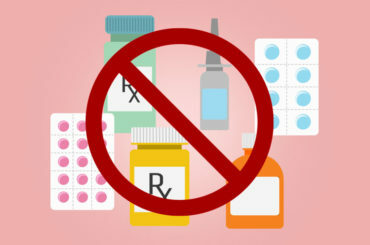 Treatment may involve smoking cessation, medications or surgery, or a mix of these. It depends on your underlying condition. If you have recurring infections, your doctor may want to remove any cysts, Dr. Mazzone says. Surgery might also be necessary for congenital lung disease if a section of your lung didn’t develop normally and is prone to infection and bleeding. Specific treatments aren’t always available when the disease is genetic in nature. Still, knowing about the disease is useful to guide screening for other family members who may be at risk. For patients with LAM, physicians may need to take additional steps to manage the risk of lung collapse. “Some patients progress to the point where they need a lung transplant,” Dr. Mazzone says. Many cases don’t progress that far, though. Many patients benefit from treatment with the immunosuppressant drug rapamycin, which slows the development of cysts that are part of the disease.